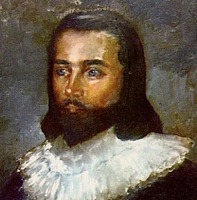 COLSTON, WILLIAM, colonizer, deputy governor of the first English colony in Newfoundland; fl. 1610–12. William Colston was almost certainly of Bristol origin, but the many Colstons dwelling in the city at the time make his parentage difficult to establish. It is likely, however, that he was the son of William Colston, who served as sheriff of Bristol from 1599 to 1600, and of his wife Elizabeth Gittens. If this is so, he was still a minor in 1582 when his grandfather, William Gittens, bequeathed £25 each to him and his brother when they came of age. Colston was probably a merchant like his father, and may have been the William Colston who joined the Bristol Spanish company in 1605. In 1610 Bristol became involved in the scheme for the plantation of Newfoundland and a number of her prominent citizens subscribed to the company which undertook the venture. Colston was not among these but he did go to the island that year as one of the first settlers. The colony at Cuper’s (Cupids) Cove was governed by John Guy of Bristol and it has been said that Colston was Guy’s brother-in-law (Prowse, 94, who has been followed by many historians), but there appears to be no documentary proof of this. Neither Guy nor any other contemporary mentions the relationship; when writing of Colston, Guy refers to him as “one Master Colton, a discreete yong man” and, immediately afterwards, to “my brother Philip Guy” (Purchas, XIX, 416). There are no further references to Colston’s presence in Newfoundland; it was not he who kept the colony’s journal during the winter of 1612–13 (Prowse, 128) but Henry Crout (Middleton mss, Mi X 1/66), and the statement that he served as deputy governor again from 1613 to 1614 (Prowse, 102) appears to be without foundation. After his return to England, he does not seem to have played any part in the civic life of Bristol. For Colston’s activity in Newfoundland see: Nottingham University, Middleton mss, Mi X 1/1–66. Purchas, Pilgrimes (1905–7). Prowse, History of Nfld. Other sources: A. B. Beaven, Bristol lists (Bristol, 1889). Bristol wills, ed. T. P. Wadley (Bristol and Gloucestershire Arch. Soc., 1886). T. Garrard and S. G. Tovey, Edward Colston (Bristol, 1852). Records relating to the Society of Merchant Venturers of the city of Bristol in the seventeenth century, ed. P. McGrath (Bristol Record Soc., XVII, 1952). Gillian T. Cell, “COLSTON, WILLIAM,” in Dictionary of Canadian Biography, vol. 1, University of Toronto/Université Laval, 2003–, accessed April 26, 2019, http://www.biographi.ca/en/bio/colston_william_1E.html.